Tutorial on how to change the setpoint limit on a Eurotherm 3000 series temperature and process controller. 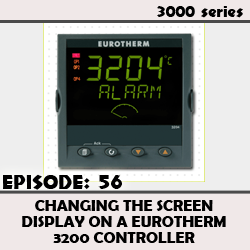 Tutorial on how to change the screen display on a Eurotherm 3200 temperature and process controller. 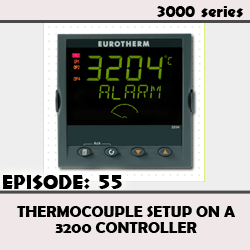 Tutorial on how to set up the thermocouple type on the 3200 temperature and process controller. 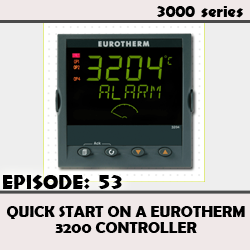 Tutorial on how to set up alarms on a Eurotherm 3200 temperature and process controller. 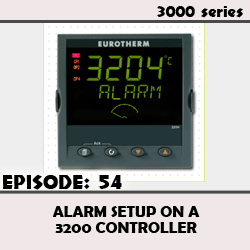 This video demonstrates how to do a basic setup on a 3200 Controller. Brief overview of receiving the 3200 Controller and wiring the power and sensor to it.